The stacks we offer are optimized for your application and require no additional configuration in most of the cases. Thanks to containers applications instances deployed via Wodby are isolated and consistent. We regularly release new versions of our stacks with updated software, performance improvements and security updates. You can upgrade stacks of your applications in 1-click. For more details please read our documentation. 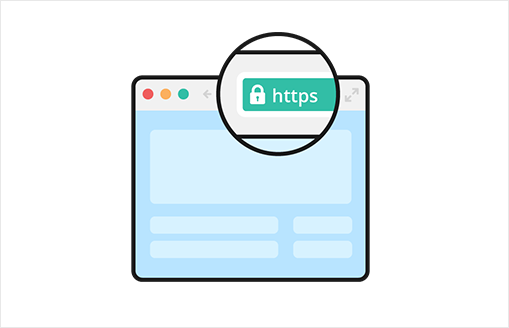 With Wodby it's easy to provide a secure HTTPS connection for your web applications. With one click of a button you can acquire a free SSL certificate from Let's Encrypt for your application. Certificates renewed automatically. No need to connect to servers or containers and look through log files. 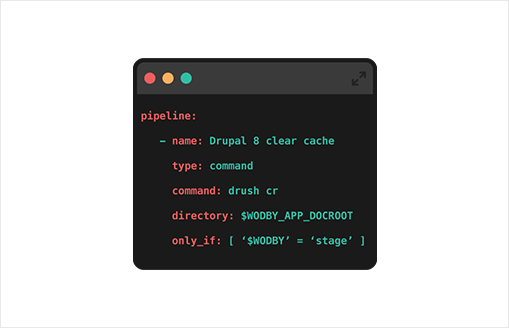 Just stream logs of your applications in real-time from Wodby dashboard. All applications deployed via Wodby have automatic backups function. You can choose when to launch the backup process and for how long store your backups. In addition, you can enable backup mirroring to a 3rd party safe storage on AWS. 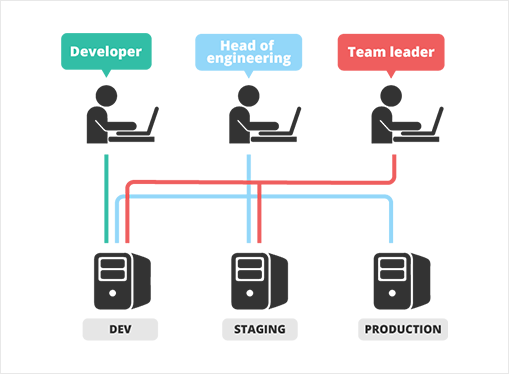 As your developers team grows, it becomes hard to tell which developer is working on what project and it’s even harder to manage access to different projects. With Wodby, you can manage your team by assigning roles and controlling access to applications. Deliver your applications continuously across servers by integrating Wodby with your continuous integration tool. Use our API and SDK to deliver code tarballs and trigger deployment process. Additionally, use post-deployment scripts to automate the delivery. Deploy new instances of your applications (dev, testing, production) on demand when you need them. You can safely deploy instances of the same application across servers from different hosting providers. Wodby provides integration with all major git (GitHub, BitBucket, GitLab, custom git servers) and cloud providers (DigitalOcean, Amazon Web Services, Linode, Google Cloud Platform, Azure or any Linux machine). 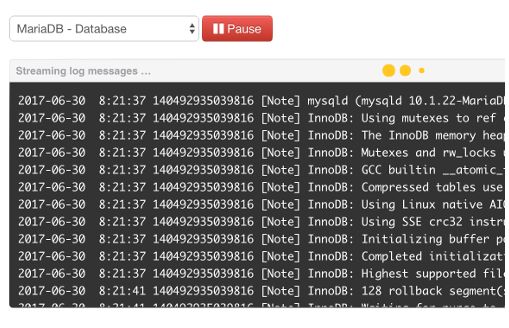 Bring your own server or git repository in a few clicks. You keep control over your code and servers!